The great star of the future of American politics, and perhaps the saviour of the universe, has arrived – this is the hope anyway, of those in the States who are not on the far right, a grouping which at the moment amounts to perhaps a few hundred people living in New York City. 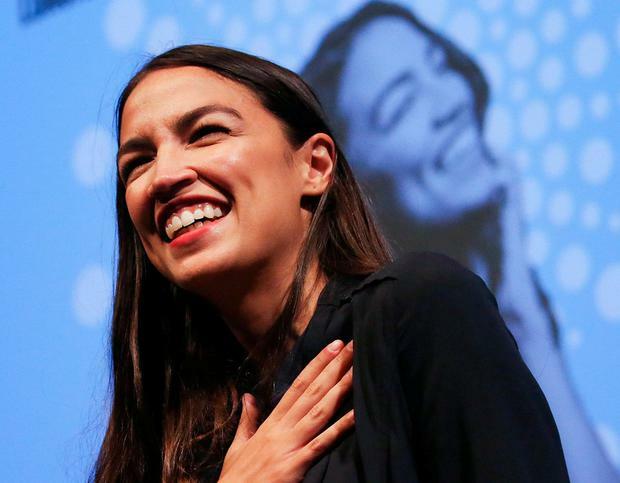 Her name is Alexandria Ocasio-Cortez, she is 28 and obviously brilliant, though it is noted that she is “a self-described socialist” – the worst type, apparently. Bloomberg wrote a piece about her, trying to establish if this recent winner of a small Democratic primary was eventually going to rock their world, and actually finding that some of her policies were not entirely insane – if she is advocating in Marxist style that working people must seize control of the means of production and so forth, it’s quite far down in the mix. Ocasio-Cortez is all about things like “Medicare for all”, and “housing as a human right”, and “a federal job guarantee”, and “free public college for all”, and, of course, climate change. Bloomberg even agrees with her on much of it. So if you’re a self-described socialist in America, what would that make you here? Most of her policies would be of the mainstream “progressive” type, but she is bringing a blast of energy with it, as if she actually means it. My best guess, is that this person identified in the US as a virtual anarchist, would translate into “Irish” as a member of the Labour Party – who is not a barrister.